The likelihood the Fed will act at its Dec. 15-16 meeting is up from 33 percent a month ago, futures contracts show. (Bloomberg) — Treasuries extended their October declines, pushing 10-year yields to a five-week high, as the probability of a Federal Reserve interest rate increase by year-end hovered near 50 percent. The likelihood the Fed will act at its Dec. 15-16 meeting is up from 33 percent a month ago, futures contracts show. Ten-year U.S. yields will advance more than 0.1 percentage point by the end of 2015, based on Bloomberg surveys of economists. Treasuries fell 0.4 percent in October, data compiled by Bloomberg show. Traders may be selling in the lead-up to the Nov. 6 release of U.S. labor data, which is forecast to show accelerating job creation, said Gennadiy Goldberg at TD Securities. Benchmark 10-year yields rose three basis points to 2.17 percent, reaching the highest intraday level since Sept. 25 as of 10:08 a.m. in New York, according to Bloomberg Bond Trader data. The price of the 2 percent security due in August 2025 dropped about 1/4, or $2.50 per $1,000 face amount, to 98 1/2. The yield will jump to 2.3 percent by Dec. 31 and approach 3 percent by the end of 2016, based on the median response from economists. 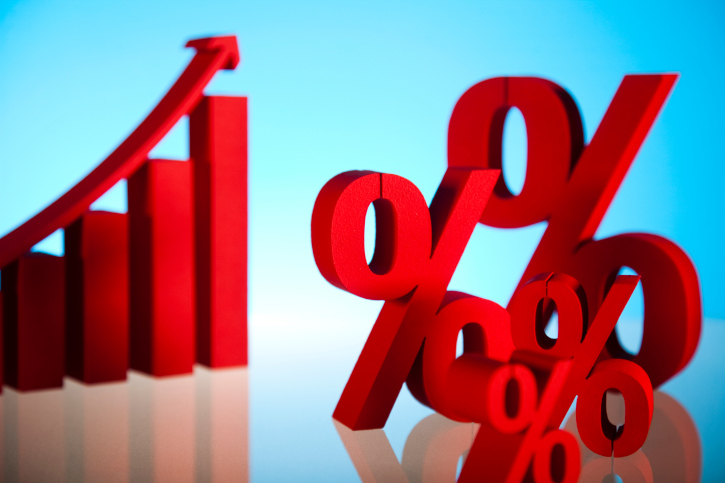 Will Tseng, a bond portfolio manager in Taipei for Mirae Asset Global Investments, said a Fed rate increase may push the figure to 2.4 percent. “I’d rather hold cash,” said Tseng, whose company has $73 billion in assets. Fed Chair Janet Yellen and her colleagues held the benchmark interest rate near zero last week, saying they’ll consider acting at the next meeting, in December. U.S. employers added 184,000 jobs in October, versus 142,000 in September, economists surveyed by Bloomberg predict. A report Monday showed U.S. manufacturing stagnated in October, while official data showed Chinese manufacturing contracted for a third month. U.S. yields will lure investors from other markets, said Roger Bridges, global strategist for interest rates and currencies at Nikko Asset Management Australia in Sydney, where he helps manage $16.5 billion. Ten-year Treasuries yield about 1.6 percentage points more than similar-maturity German bunds and almost 1.9 percentage points more than their Japanese counterparts. –With assistance from Nicholas Reynolds and Wes Goodman in Singapore.